With cold weather upon us and snow just around the corner, this little D.I.Y. 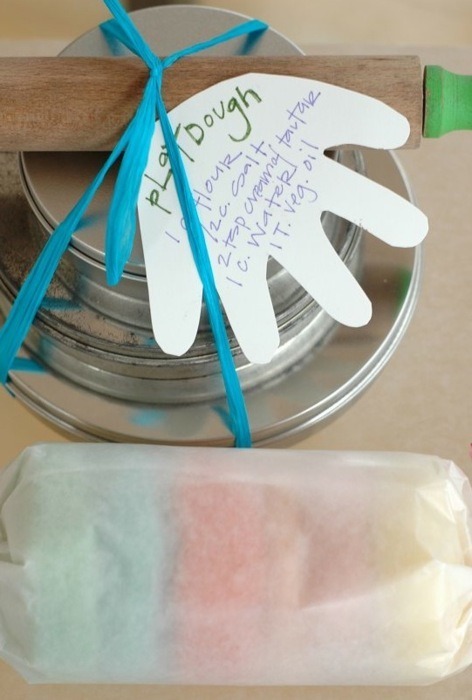 playdough gift is just about the best thing you could deliver to any friend or sibling with little ones trapped indoors in need of a project. After a trip through Stars, an antique emporium in Portland, Oregon, I found a set of unusual and adorable mini vegetable cutters (complete with an asparagus stalk! ), as well as a little wooden rolling pin. 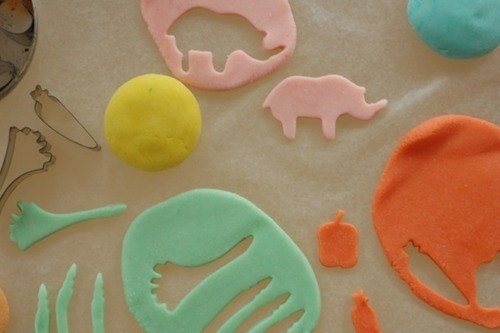 Voilà, the idea for a homemade playdough kit was born. My mom used to make this playdough for me when I was little, and it lasts for a pretty long time as long as it’s in an airtight container. Plus, the simple (nontoxic!) recipe takes only a matter of minutes. 1. Heat all ingredients in a small pot over medium heat, stirring constantly until the mixture starts to thicken, becomes difficult to stir and starts to pull away from the edges of the pot. 2. 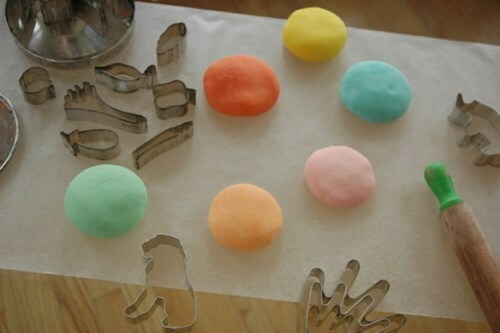 Scrape out of pot and separate dough into pieces to add food coloring. 3. Knead dough for 10 minutes. 4. Store in an airtight bag or container. 5. Wrap and gift to your favorite rug rat. This entry was posted in Uncategorized and tagged anna h blessing, diy. Bookmark the permalink.